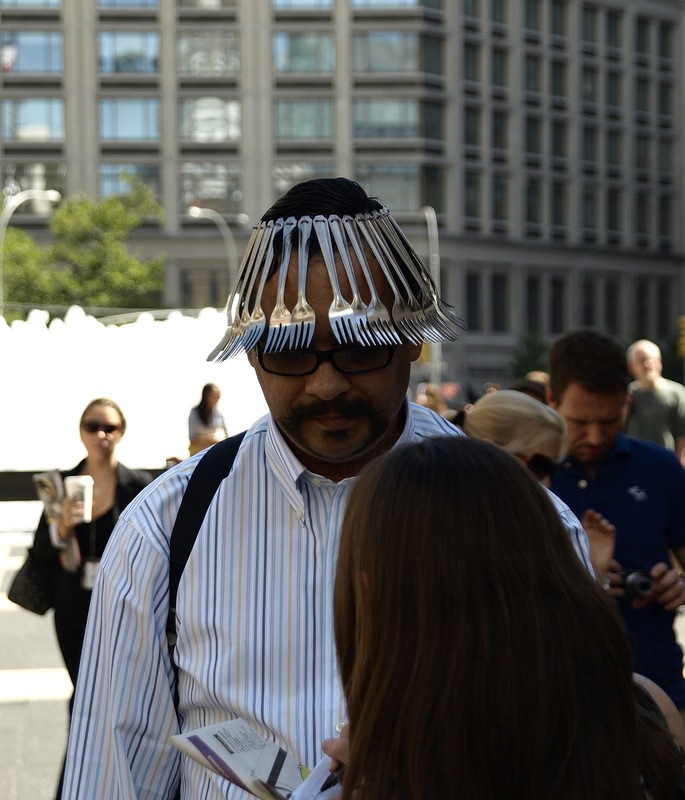 I have gotten a lot of comments from close family and friends that the looks I am posting from Fashion Week are weird. Here's my perspective on Fashion Week - it's a show! It's the time when designers and attendees can combine well crafted garments with whimsy and fun. It's all about creating something we haven't seen before. I love it! It helped me feel a part of the celebration. Later today I will post some of the "showier" looks I saw. Now that's a cute outfit!